Lois Sindbad admitted this week to murdering Father Alain-Florent Gandoulou in Germany with a metal crucifix. Sindbad then jammed an umbrella down the priest’s throat. The killer says he is a Christian but also believes in witchcraft. Father Alain-Florent Gandoulou was also from Africa. 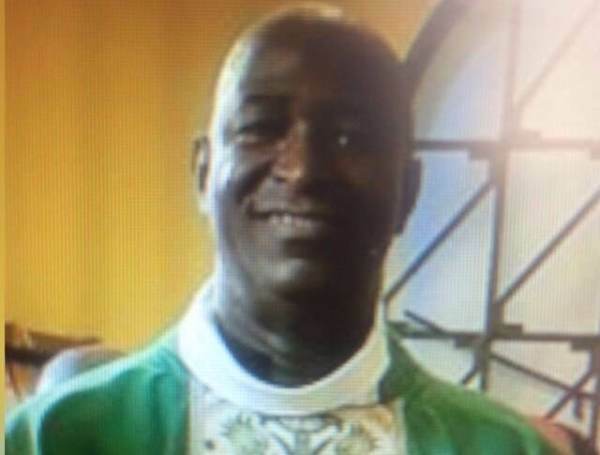 Lois Sindbad a 27-year-old asylum seeker from Cameroon admitted to killing the 54-year-old pastor Alain-Florent Gandoulou, who was from the Congo himself during prayer in Berlin on 22 February. At first he beat the man with a metal cross and moved on to shove an umbrella down his throat. The victim died due to serious head trauma. The perpetrator entered Germany as a refugee in 2014 and claims to be a Christian but believes in witchcraft and ghosts. According to his story a ghost that had already possessed his brother, who also lives in Germany, supposedly had taken over his body. Frightened by this he sought help from his victim. Allegedly the pastor did not defend himself but only called for help in German during the deadly assault. The post Migrant Beats Priest to Death with Metal Crucifix then Jams Umbrella Down his Throat appeared first on The Gateway Pundit.